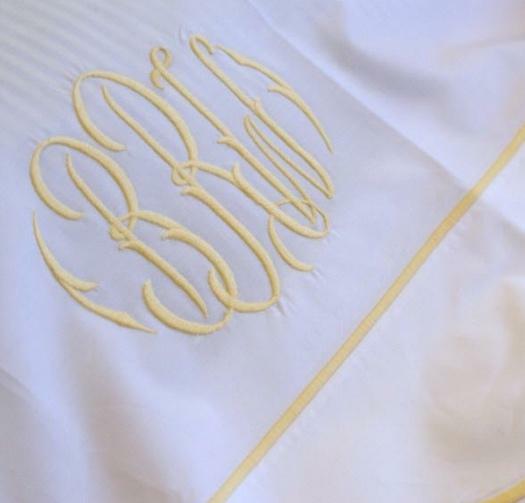 Matouk Butterfield Monogrammed Bedding Collection adds a classic look to your room while sleeping soundly. 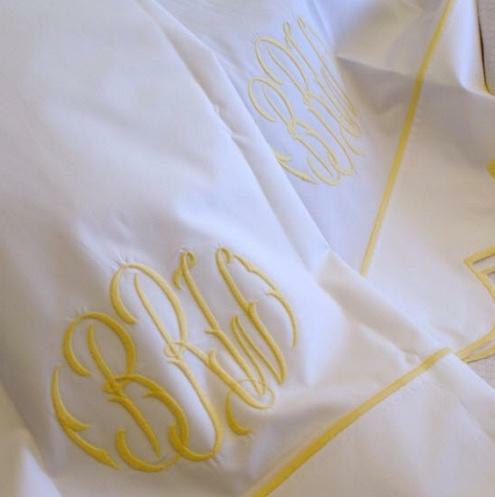 Luxurious white percale finished with extra-large scallops and satin stitching. 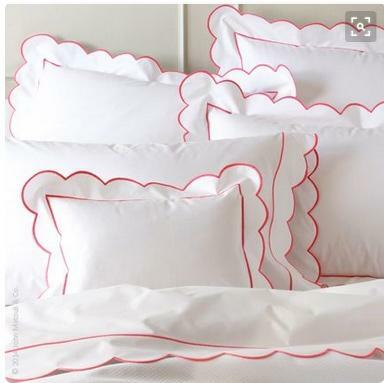 It is a crisp, 500 thread count white percale that is made in the USA of 100% Italian woven Egyptian Cotton with an exquisite feel.